Summers in the Prosper area tend to get extremely hot, so it’s crucial to have dependable cooling in your residential or commercial building. During winter, you’ll want to have reliable heating so you can stay cozy and warm. At Cote’s Mechanical, we can make sure that your home or business maintains a comfortable interior temperature all year long with our repair, installation, and maintenance services. Our technicians can help you choose a more energy-efficient HVAC system or take care of emergency repairs at any time. We offer free service calls with repairs and free estimates on new installations. From unexpected repairs to attic insulation, we can ensure that you have optimal home comfort at all times. At Cote’s Mechanical, our technicians are fully licensed and have the training and skills needed for A/C and heating unit installation and repair in Prosper. You can depend on our team to handle your new HVAC system installation or visit your home promptly to make repairs. Whether you have a central air conditioning unit, heat pump, electric furnace, or other HVAC system, we can take care of all repairs and installations. Our company also offers maintenance, including seasonal tune-ups and cleanings. 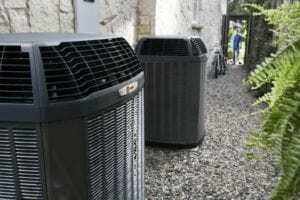 Maintenance on a regular basis helps your system last for many years. Our services also include replacements, ventilation, and attic insulation for residents of Prosper. 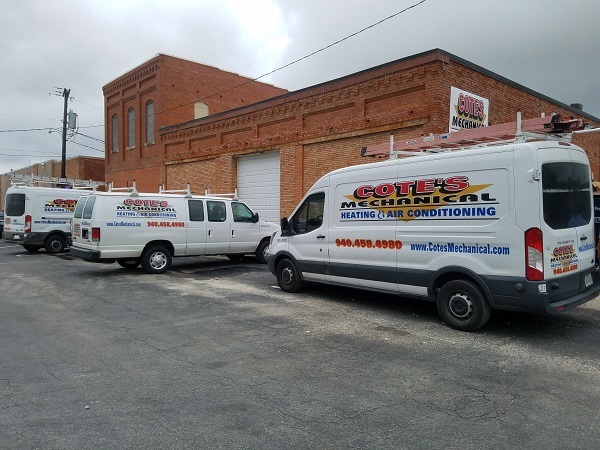 When Cote and Kristi Wyatt opened Cote’s Mechanical in 2001, they dedicated themselves to providing customers in Prosper with superior heating and cooling services and an excellent customer service experience. Since then, we have added more and more technicians to our company to ensure that we’re able to continue offering prompt repairs and other services to a growing number of customers. We have a team of more than 40 now, so all of our customers can depend on timely service. Our online reviews from past customers show just how much they have come to appreciate our high-quality customer service. Our technicians often receive praise in these reviews for arriving at customers’ homes shortly after getting a call for service. Customers have also mentioned the outstanding service we provide and how they appreciate not having to wait hours or even days to get their system repaired. Cote’s Mechanical has received attention and accolades from several organizations for the service we provide. These include a 2016 Superior Service Award from Angie’s List, as well as accreditation from the Air Conditioning Contractors of America. We’re also proud to be certified as a Trane Comfort Specialist, which requires meeting strict quality standards. In addition, we are certified for North American Technician Excellence and have an A+ rating from the Better Business Bureau. Prosper has an average household income that’s notably higher than the average for Texas and the United States. Residents make an average of $120,270 per household compared to about $55,000 per household for the state and national averages. Homes also cost quite a bit more than average in Prosper. Residents pay an average home price of $378,700, while the average for Texas is about $142,000 and the U.S. average is about $184,000. Residents in Prosper have many places where they can have fun outdoors, as well as great dining options to choose from. Frontier Park features a walking trail, a fishing pond, athletic fields, and a playground, while Prairie Park has a Western-themed playground and a trail for hiking and biking. Golf enthusiasts can work on their swing at Gentle Creek Country Club, then enjoy a delicious meal at 360 Restaurant. Head to Prosper Town Pub and Grub for farm-to-table meats and produce, or stop by Cotton Gin Cafe for a burger served in a friendly and cozy atmosphere. Prosper residents who are looking for ways to support their community can volunteer with the Community Library Board or the Parks and Recreation Board. Volunteer opportunities are also available for local events in Prosper, such as the Christmas Festival and the annual Community Picnic. Don’t go without dependable heating and cooling at your home in Prosper. Contact Cote’s Mechanical when you need a new HVAC system installed or if you need repairs done. Our services are available for homeowners and commercial property owners in and around the Prosper area. 2010 York 13 seer air conditioning system.